One of the truly unique and wonderful aspects of City Colleges of Chicago is our diversity. The educational opportunities we offer are made richer by the opportunities students have to learn from their peers, faculty and staff, who may have led lives much different from their own. At City Colleges, we celebrate this difference and use it as a chance to broaden our perspectives and break down barriers and misconceptions. We are a welcoming college community that is committed to providing a safe and secure teaching and learning environment that supports the success of all of our students, including our undocumented students. As announced today, President Trump plans to wind down Deferred Action for Childhood Arrivals (DACA), which allows young people who moved to the U.S. at an early age to work legally within the country. While many details remain unclear about the impact of this announcement, please know that City Colleges of Chicago stands firmly with our DACA students. We join many organizations, including the Association of Community College Trustees, in urging the Administration to work with Congress to implement a permanent solution that supports DACA students. We want to remind you that City Colleges is a "sensitive location" under federal law. As a “sensitive location”, CCC does not inquire about students’ or applicants’ citizenship or immigration status, and the U.S. Immigration and Customs Enforcement (ICE) would only be able to engage in enforcement activities on our campuses under limited circumstances. 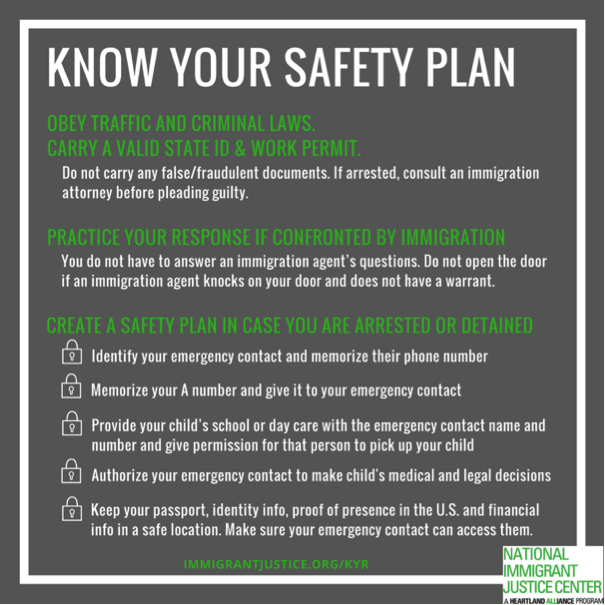 CCC must comply with federal, state, and local law, and expects ICE to do so, as well. That means that ICE agents would only engage in enforcement activities (i.e. arrests, interviews, searches, surveillance, etc.) on CCC property if they have a warrant, if they have prior approval from an appropriate ICE or US Department of Homeland Security supervisory official, or if exigent circumstances exist (e.g. there is imminent risk of death, violence, or physical harm to any person or property). Only under these limited circumstances would CCC permit ICE to come onto campus. For an overview of the federal government's sensitive locations' policy, please see: https://www.ice.gov/ero/enforcement/sensitive-loc. In the event that ICE were to come to a City Colleges campus, faculty and staff have been advised to immediately contact their college president and head of security, and allow these individuals to handle the matter directly. The City Colleges Wellness Centers, which provide both group and individual counseling services and referrals for other resources in the community. The CCC International Student Office, a good resource for international students studying at CCC. A student's home country consulate should be able to answer specific questions about visas and travel. The City Colleges EEO Office, which investigates reports on discrimination and harassment at CCC. The Chicago Legal Clinic at Harold Washington College, which provides students with free legal consultations and appropriate referrals. The Clinic is staffed by a volunteer attorney as well as by law students from local law schools and provides a variety of legal services on a variety of issues including immigration. For a list of all other services and resources available at your college, please visit: http://www.ccc.edu/studentresources. Thank you for helping us maintain a safe and welcoming community for all students, faculty and staff.